Later this year, the definitive version of Blizzard Entertainment’s Diablo III will come to the Nintendo Switch, including all the features and content from every expansion and update as well as exclusive bonus items. 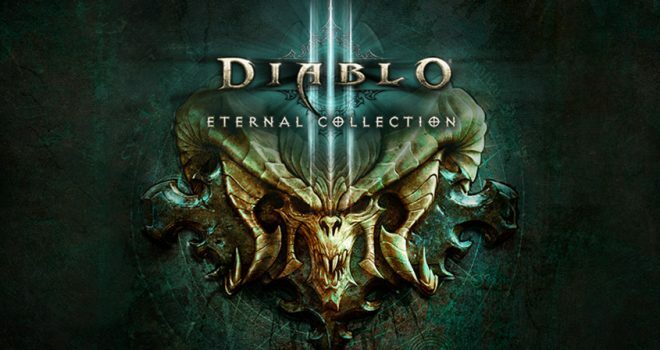 The Eternal Collection is the definitive edition of the action RPG, and includes the original Diablo III, the Reaper of Souls expansion, and the Rise of the Necromancer pack. With seven powerful character classes, a five-act campaign that spans the lore-rich and demon-infested world of Sanctuary, and an endlessly replayable Adventure Mode, the Eternal Collection is the perfect all-in-one package to introduce newcomers to a lifetime of adventure. Up to four players can also band together to engage in grand multiplayer crusades, whether they’re sharing a screen on a single Nintendo Switch, linking their consoles together wirelessly, or teaming up through the Nintendo Switch Online service. Exclusive content for the Nintendo Switch system includes bonus items like The Legend of Ganondorf cosmetic armor set, inspired by the iconic villain from The Legend of Zelda series.